Full Featured Autopilot: Full military grade autopilot with GPS waypoints, 3D flight terrain, max/min altitudes, laser altimeter, no-fly zones, multiple vehicles, and more. Autopilot offers integration to sensors and camera packages for target tracking and encrypted data links. Endurance: Standard 20+ minutes on battery. Specialty 2+ hours with an optional fuel engine. 75 in. x 58 in. Avenger™ Overview: The Leptron Avenger™ offers simplicity with a single case for the helicopter, video, spare batteries and charger. Search for Jessica: Leptron equipment is used by Boulder Sheriff in the search for a missing girl. The system was flown in a ‘Lawn Mowing’ GPS based flight pattern to canvas several miles of terrain. The live video with both HD color and Infrared cameras were used in the identification of additional search areas of interest. Also, HD video capture allowed for post flight forensic analysis of the area for additional clues for the lost person. Disaster and HazMat: The Seattle PD and 7 additional fire, search and rescue teams respond with the Avenger. The system is used with a chlorine detection system, HD Video and FLIR systems for real time analysis. Leptron in the News – Texas: The Arlington Texas Police Chief discusses the Avenger's merit's for safety and public protection. The Leptron Avenger™ system offers real time video with HD video, FLIR and HazMat cameras/sensors. 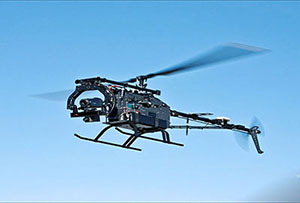 The system offers fully autonomous flight functionality with GPS based flight, safety return functions and the ability to operate safely in winds of over 30+MPH. Fire and Search Rescue: The Leptron Avenger™ flies the Texas wildfires to assist local fire and emergency management with assessment of house and park damages. The real time HD Sony combination FLIR cameras are used for viewing of the devastation. In addition, the Avenger is used for bomb identification and 'Man Down' training. 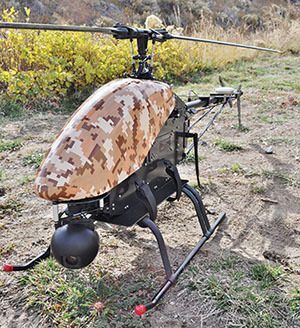 Bomb and Surveillance: The Boulder Colorado bomb, fire, and SWAT teams fly the Avenger for surveillance and with HD video and FLIR. This demo also highlights the ground station and guest pilots. Utah Highway Patrol Police Forensics: Ride along with the Utah Highway Patrol and their live use of the Avenger to shoot photographs of a crime scene. Avenger™ – Flight Ease: The Leptron Avenger™ illustrates the simplicity of flight via the wireless remote control. The Avenger autopilot is making 500 flight corrections a second that allows the user to fly the Avenger in even the most challenging weather conditions. The system also illustrates the automated safety element of the 'return home' function to the original GPS location within 12 inches. Super Bowl Coverage XLV: News 8 coverage of the Arlington Texas XLV Super Bowl preparations. 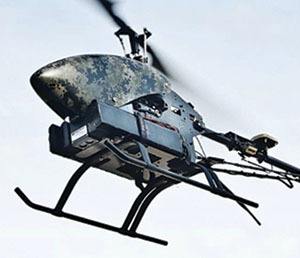 In addition, the Arlington Texas PD police team speaks about the Leptron UAV and its use for the coverage. SWAT Training: The Leptron Avenger™ offers SWAT the ability to have real time 'Eyes On' of a hostage situation. This capability creates a full scene view for both on scene capability and training. 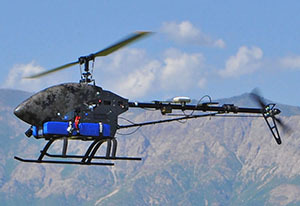 Extreme Weather: Leptron UAV can handle conditions of 110 degrees and 10 MPH winds to -10 degrees and 15 MPH winds in snow to 11,990 feet altitude and 55 MPH wind gusts.